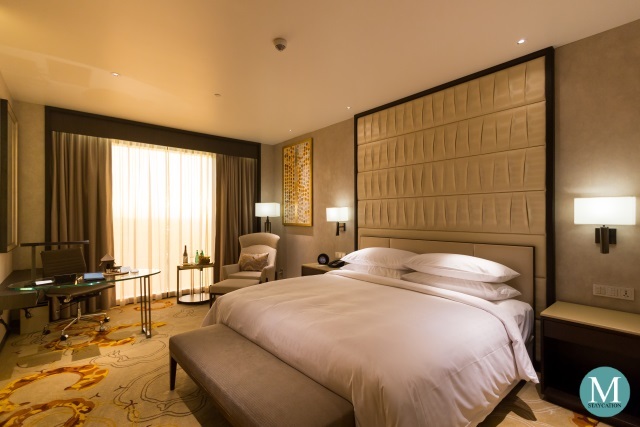 Shangri-La Hotel Wuhan guests staying in Club Rooms or Suites, as well as Golden Circle Diamond members, enjoy a host of complimentary services at the exclusive Horizon Club Lounge. 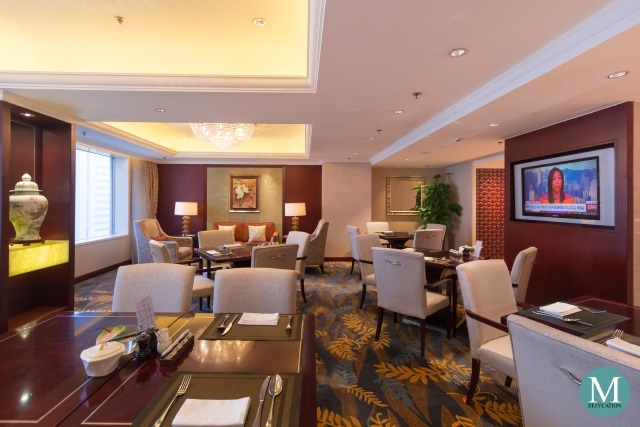 Located on the 20th floor of the hotel, the Horizon Club Lounge is open daily from 6:30am to 11:00pm. 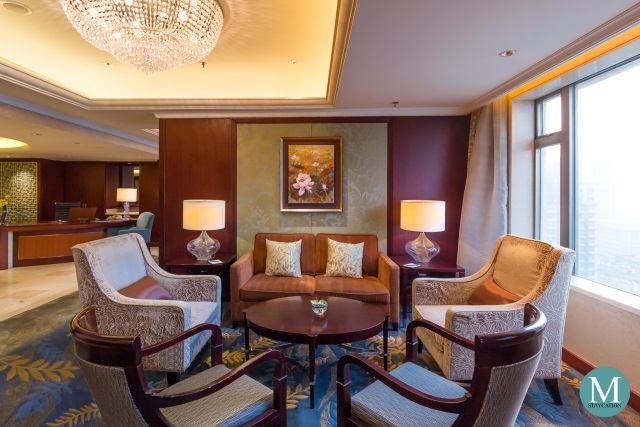 The Horizon Club Lounge provides Club guests with comfortable meeting spaces coupled with personalized and attentive services. 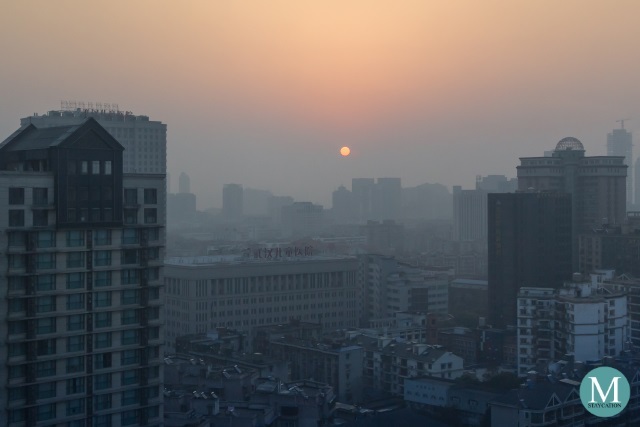 Club guests also enjoy panoramic views of the central business district. There's nothing better than freshly brewed coffee and a good book to read. 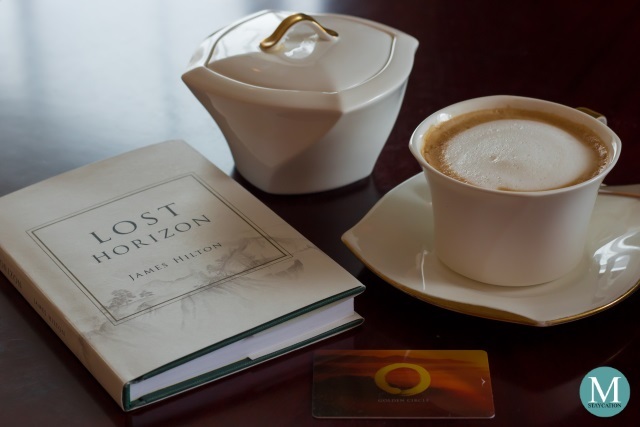 As soon as you are seated, the Horizon Club Lounge associates will offer you coffee or tea. If you are looking for a caffeine fix, you may opt for brewed coffee, cafe latte, cappuccino or cafe mocha. Tea lovers can choose among the different flavors of Zesta tea. Canned soda and chilled fruit juices are also available. Small bites of cookies, pastries and tea sandwiches are also available throughout the day. The evening cocktails here at Horizon Club Lounge of Shangri-La Hotel Wuhan is scheduled between 6:00pm to 8:00pm. 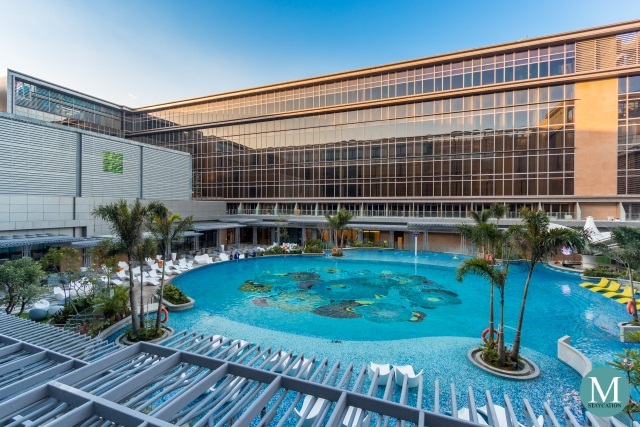 The schedule makes sense for business travelers, as they will be arriving at the hotel from work right on time for for the evening cocktails. For two hours, club guests can enjoy free flowing wine, beer, cocktails and premium spirits. Canned soda and chilled fruit juices are also available. There is also a wide selection of warm and cold dishes. There's charcuterie and premium cheeses, a make-your-own salad station and fresh fruits. 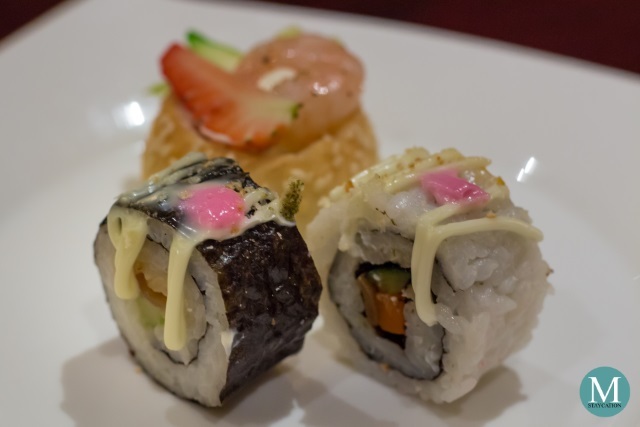 Warm and cold dishes features cuisines from North America, Europe, China and Japan. 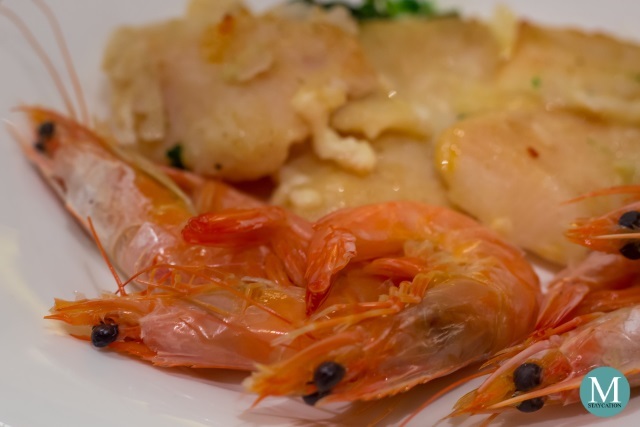 There is a considerable variety of Japanese dishes available because Japan is one of the major markets of Shangri-La Hotel Wuhan for business travelers. Guests can end their evening with an assortment of desserts. 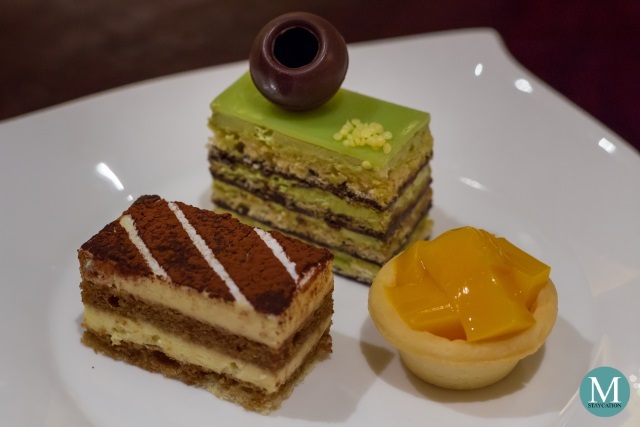 I particularly loved the tiramisu and the mango tart. Coffee and tea are available up until 11:00pm. Horizon Club guests may choose to have a semi-buffet breakfast at the Horizon Club Lounge or a full buffet breakfast at Cafe Wu, the all-day dining restaurant of the hotel. 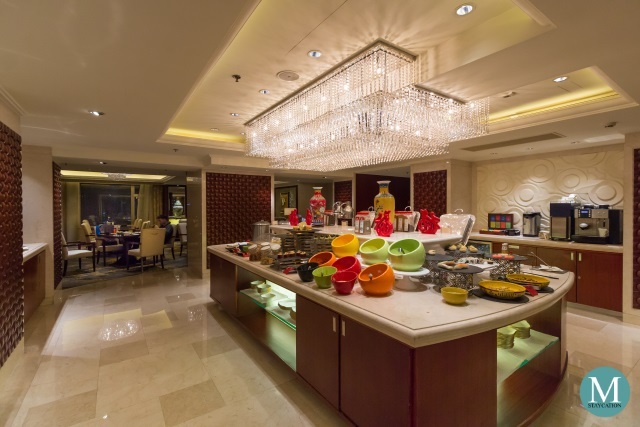 During my three-day stay at Shangri-la Hotel Wuhan, I was able to sample both breakfast venues. 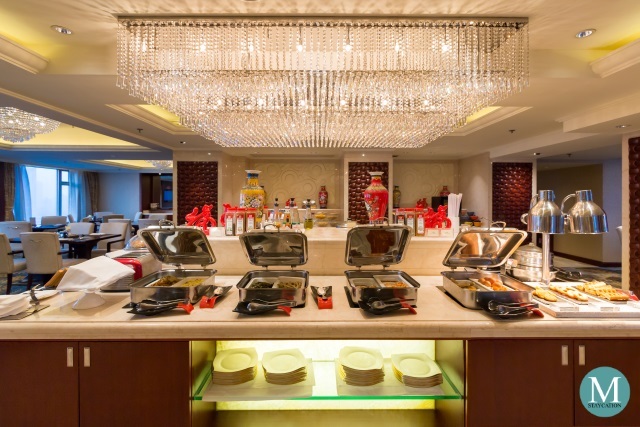 The Semi-Buffet Breakfast at the Horizon Club Lounge has more than enough variety of dishes to choose from that would suit any preference on cuisine or dietary requirements. 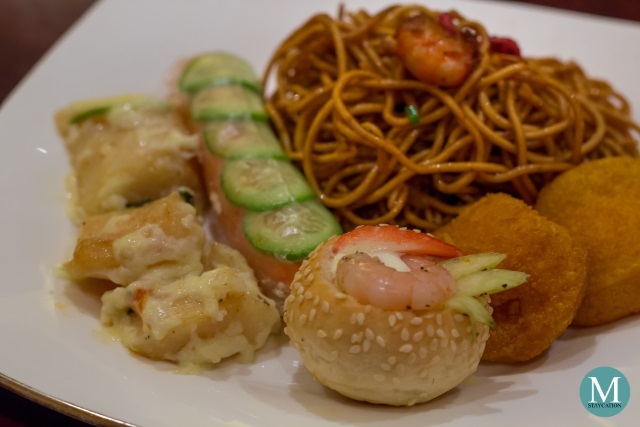 The buffet spread includes freshly baked breads and pastries, premium cold cuts and cheeses, Western, Chinese and Japanese warm dishes. 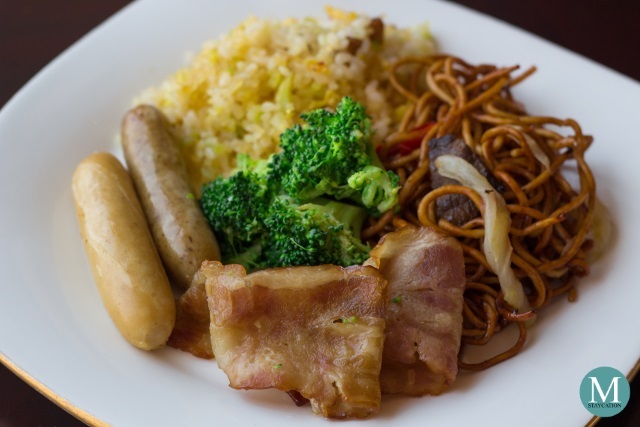 On top of the buffet selections, guests can also order unlimited servings of dishes from the a la carte breakfast menu. 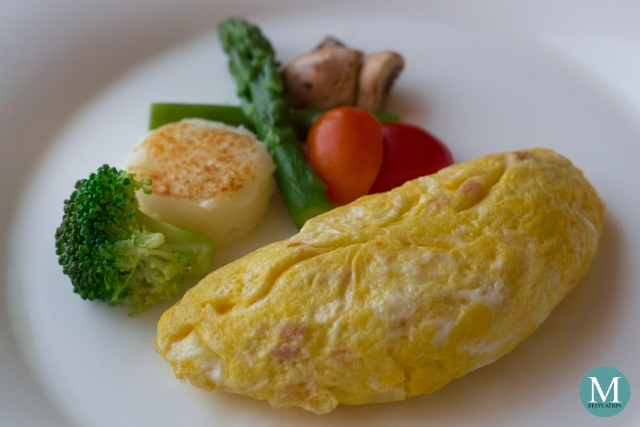 Guests can choose among eggs, omelet and pancakes cooked a la minute and customized to your preference. 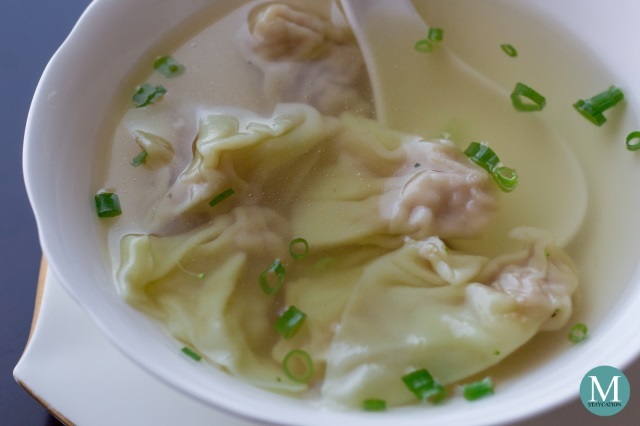 The a la carte menu also has excellent selection of noodle dishes, including Noodle with Chicken Soup (鸡汤面), Wantan Soup (云吞) and Beef Noodle Soup (牛肉面). Noodle soup dishes are prepared fresh upon order. 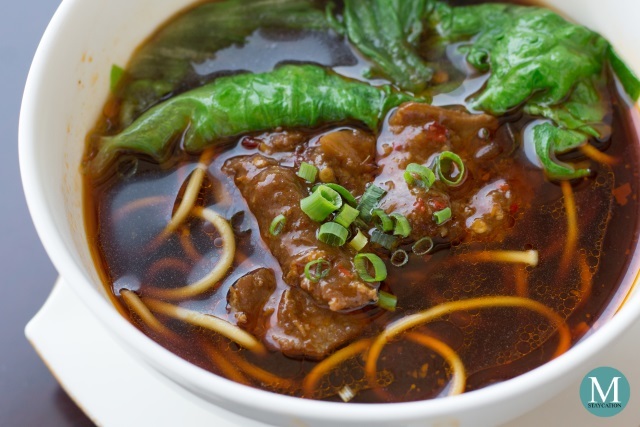 My favorite noodle soup dish is the Beef Noodle Soup. The broth was very rich and savory, and has mild to medium spiciness that perfectly matches the beefy flavor of the soup. The noodles were perfectly cooked while the vegetables were crunchy. But the best part of the dish would be the super tender slices of beef generously used as a topping. 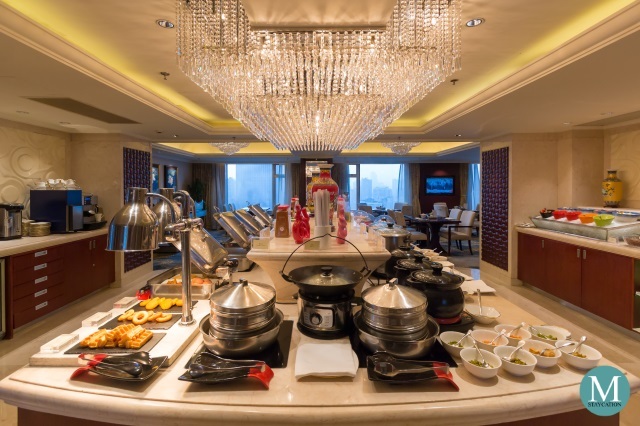 Just like at Cafe Wu, Shangri-La Hotel Wuhan also showcases the Reganmian (热干面) in the a la carte breakfast menu of the Horizon Club Lounge. 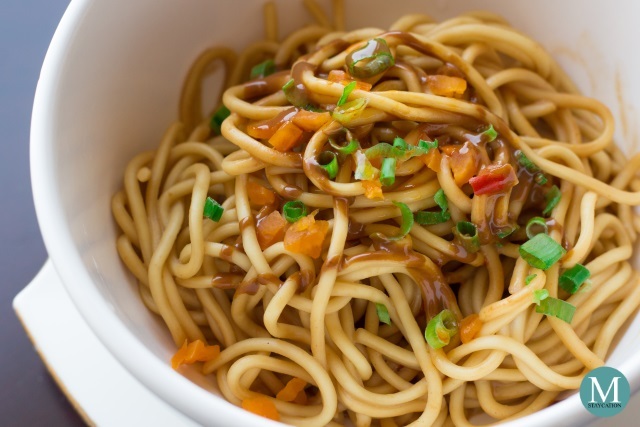 Also known as Wuhan Dry Noodles, Reganmian is the most iconic and representative of Wuhan cuisine. A definite must-try! 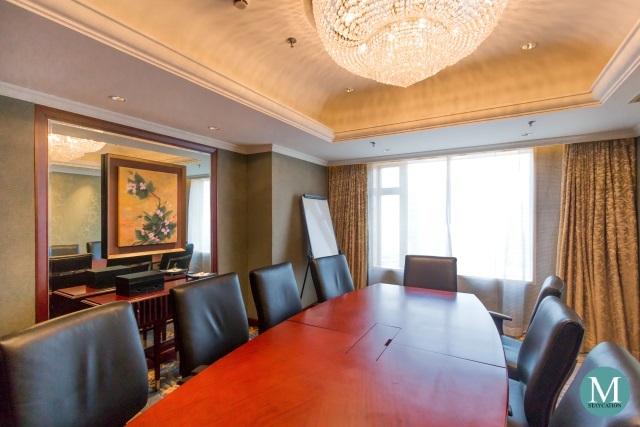 The personalized and business services available at the Horizon Club Lounge are best suited for business travelers staying at Shangri-La Hotel Wuhan. 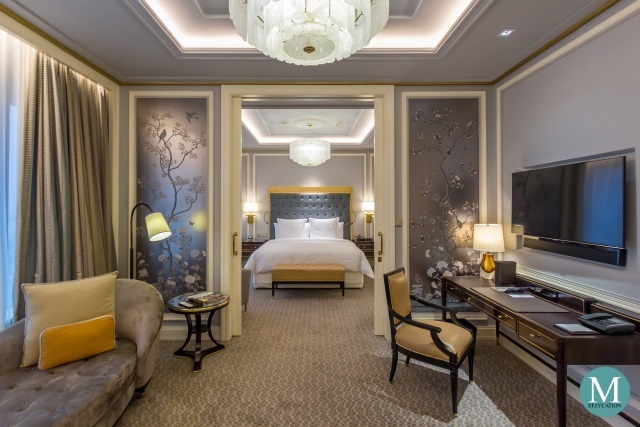 Leisure travelers can also elevate their luxurious stay at Shangri-La Hotel Wuhan by booking a Horizon Club Room or any of the hotel's suites.